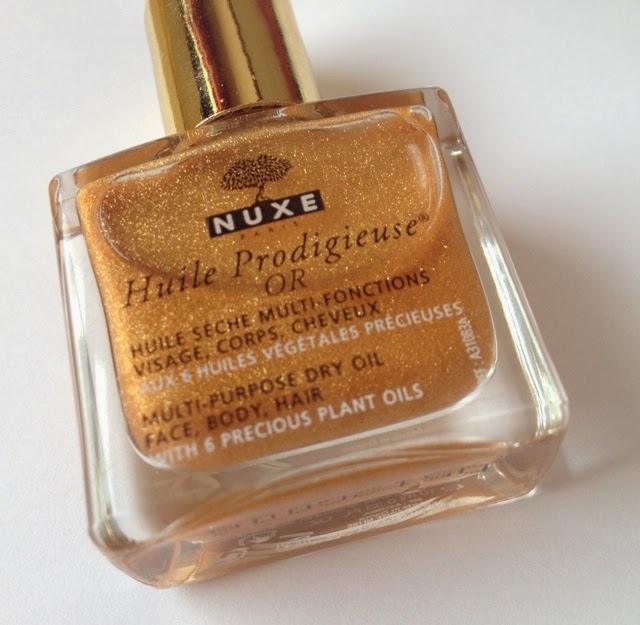 Last week I won a Twitter competition held by Vicki who writes Let's Talk Beauty, her blog is fabulous, and one of the prizes was a mini bottle of Nuxe Huile Prodigieuse OR multi use dry oil golden shimmer. 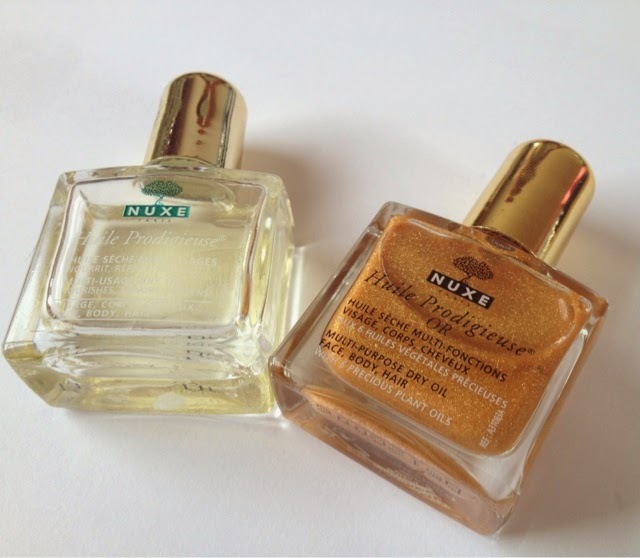 I have used and loved Nuxe for some time after discovering them about a year a go, I got a little bottle of the original oil and absolutely love it. 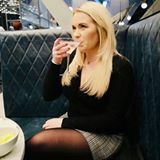 "95% of the ingredients in these oils are of natural origin, it is a unique combination of 30% Precious Plant Oils and Vitamin E to nourish, repair and soften your face, body and hair in a single step. Your face and body are left feeling soft and silky. Your hair is supple, soft and shines with health. 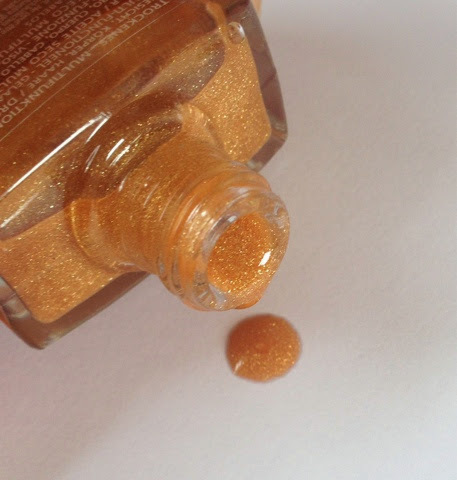 The sensual golden particles leave a subtle shimmer on your skin and enhance your every move." The original Huile Prodigieuse oil I currently use after each I wash my hair, I apply to my towel dried hair to speed up drying time, keep my frizz at bay and it leaves my hair soft, silky and shiny! The shimmer oil is new to me, this can also be used for hair, face and body but I think this is just perfect for summer skin! Huile Prodigieuse® OR RRP £34.00 for 100ml. Huile Prodigieuse® RRP £28.00 for 100ml. The light and non greasy oil leave skin with a gorgeous glow and helps banish dry skin, I was dubious about using oil on my skin as I hate the greasy feeling you would expect from an oil or the feeling you do get from lower end oils, but this dry oil soaks in beautifully. Nuxe have some fantastic offers on at the moment where you can get some great mini samples with every order including the original oil if you choose it! I have listed the links to the offers they have available at the moment! NUXE Exclusive Offer: FREE Shower Gel when you buy a Body Lotion! £10 off your first order when you spend £40 on Nuxe.co.uk! Use WELCOME at checkout! FREE delivery over £20 at NUXE! 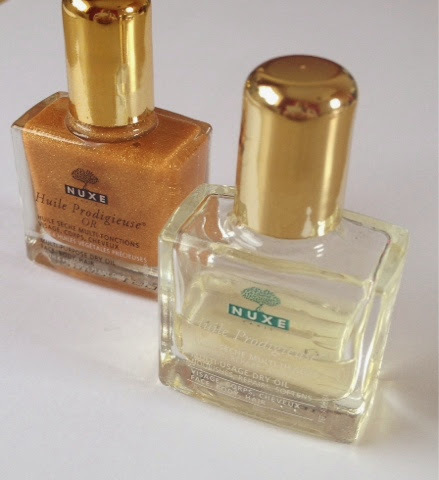 Have you tried anything from Nuxe before?